The FOX Quick Adjusting Bypass (QAB) technology allows you to manually adjust bypass tubes, quickly and easily, making fumbling with tools and visually counting turns obsolete. 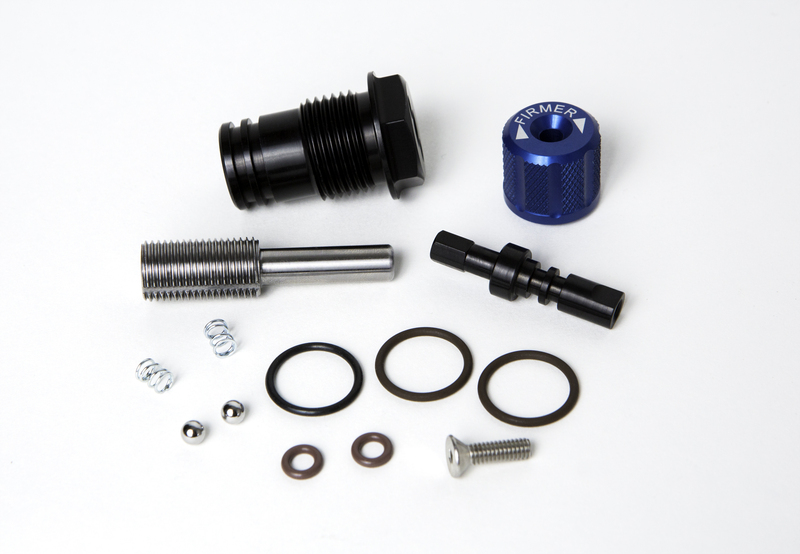 The CNC Machined 6061-T6 aluminum adjustment knobs—anodized blue for compression or red for rebound–are knurled for increased grip, with laser-etched arrows indicating adjustment direction. The adjuster has the same flow and range of adjustment as our regular bypass units. The new design has a definitive click at every quarter revolution of the knob, making adjustments simple and quick—tracking shock changes is now easier than ever. The knobs also feature an O-ring seal to keep moisture and contaminants out, insuring a reliable adjustment turn after turn. 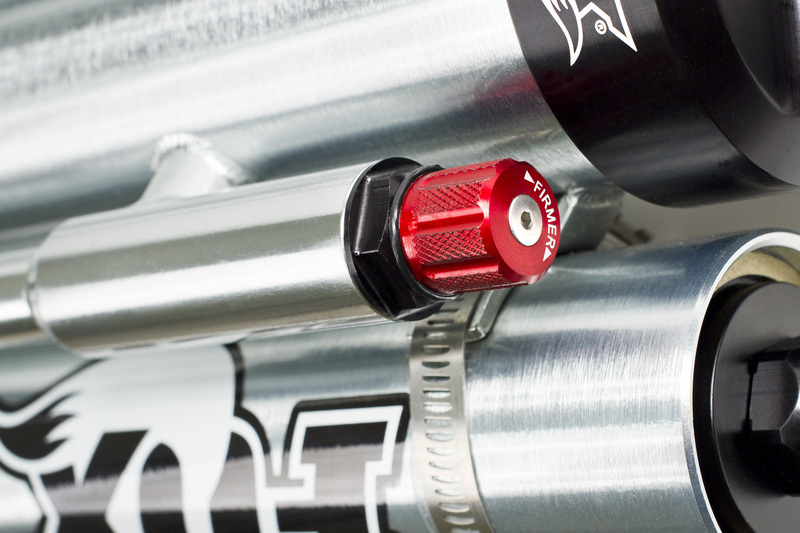 The Quick Adjusting Bypass technology is available as an option for all new 2.5, 3.0, and 3.5 FOX External Bypass shocks or as an upgrade for your existing shocks. The QAB is also standard on the Ford SVT Raptor RearFOX 3.0 Factory Series Bypass QAB Reservoir upgrade kits. Visit a local FOX Truck or Offroad retailer to purchase. Existing bypass shocks can be upgraded at the FOX Truck and Offroad service center in El Cajon, CA.